We have the best agents and chauffeurs in the business! In Raleigh and beyond! Weddings, birthdays, concerts, and more! We can take you to any event! Flat screen TVs, high-quality hard wood floors and leather seats are just the beginning! Buses with luxurious interiors and state-of-the-art features! Service operations in a wide area 24/7! Raleigh's number 1 luxury transportation company! Limo Bus Raleigh is Raleigh's number one company for luxury transportation! We have a wide selection of limo buses for any occasion, we service a vast area, and we have the best staff and unbeatable prices! 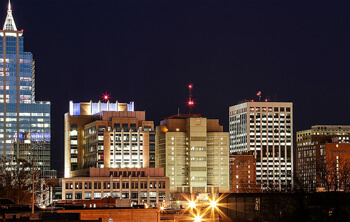 As a local Raleigh company, we are committed to bringing the best to you, who are not only our clients, but are our friends, neighbors, and family. We work hard to keep our vehicles in top running condition and to to keep the luxurious interiors squeaky clean. 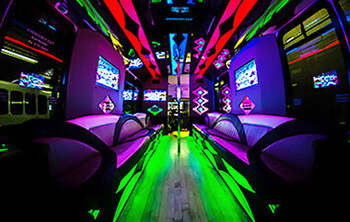 We also stay on top of the latest technologies so our limo bus' features are always state-of-the-art! Limo Bus Raleigh has the best service because we hire only the best people from our office staff to our drivers. Finally, we are committed to bringing you unbeatable rates and we promise that we have no hidden fees! 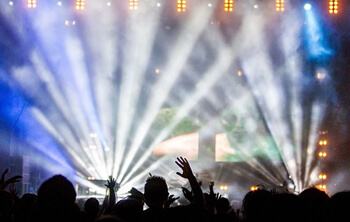 Many of our customers choose us for our unparalleled travel experience to sporting events and concerts. After all, we strive to offer an unforgettable tailgating experience and then some! Our customers love being able to avoid the hassles of traffic and parking, and to be able to be dropped off and picked back up right at the door is a luxury that we cannot overstate! After the game or concert, you can head out to your favorite bars and restaurants, and then instead of hating the long drive home, you can relax and enjoy the ride. Even watch a movie or listen to music on our booming stereo system! It's the most relaxing way there and back, that's for sure! We also do a lot of business around weddings, not just for the day of with the wedding venue and reception hall, but also for the days surrounding your nuptials for bachelor and bachelorette parties! These days, anything goes, whether it's wild and crazy or just a relaxing day out with your best friends. May we suggest a wine tour or a day of spa and salon visits? You can even mix things up and do a combined bachelor and bachelorette party! Whatever you've got planned, we are the company that will go out of our way to make it memorable for you! Booking could not be easier. It all begins with your free price quote. You can just pick up the phone right now and let us know the date of your party and the number of passengers, and you'll have a price quote in your hands without even having to provide us any personal info. If you like that price quote (and you will! ), you can very simply lock it in with a credit card deposit. You can also come down to our place of business and make a cash deposit if you prefer. Doing so lets us reserve that bus for you on that particular night for the specific amount of time that you need it. We're very affordable so we encourage you to give us a call and find out just how cheap it can be, especially if you're splitting the cost with your friends, as so many of our customers do! Why don't you kick things off here by taking a look at our vehicles page? Tour our featured vehicles and see if there is one that really catches your eye. If it matches up with the number of passengers you'll have and the features seem right for your particular event, give us a call and let's see if that vehicle is available for your party! Alternatively, if you're short on time and would prefer that we just choose the ideal vehicle for you, we would be more than happy to do so! Give us a call whenever you are ready to begin! We cannot wait to give you the most affordable and memorable experience on the road and to have you on board as a loyal customer! Read More About our services we offer! We have the best selection of luxury limo buses in Raleigh and the surrouning areas! We also have the most competitive and affordable prices and best of all, no hidden fees! Copyright © 2017 Limo Bus Raleigh | www.LimoBusRaleigh.com | All Rights Reserved.